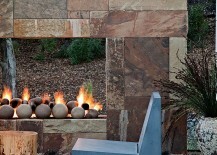 An outdoor fireplace is not just about mere aesthetics. 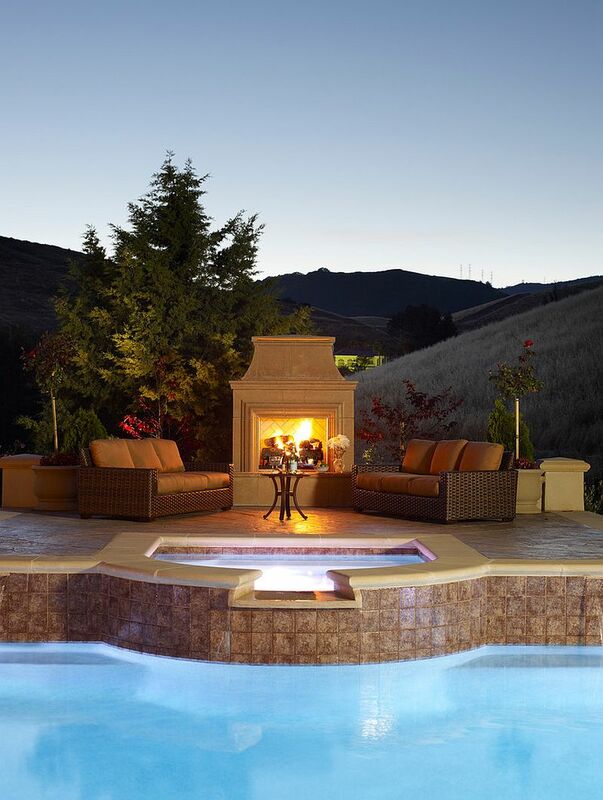 There are plenty of advantages that come with adding a lovely fireplace to your patio, pool deck, outdoor lounge, or even that small balcony. 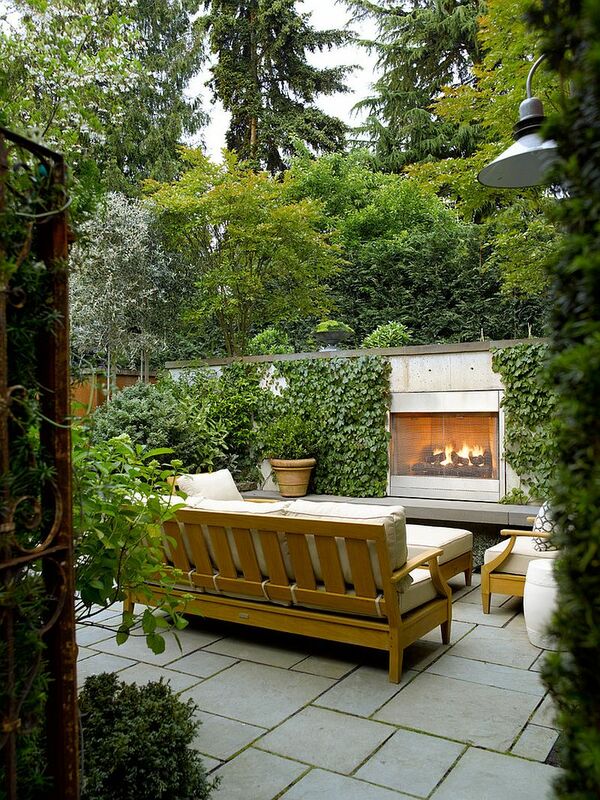 With homeowners looking to expand their living space, the relaxing backyard sitting area does seem like the perfect option. 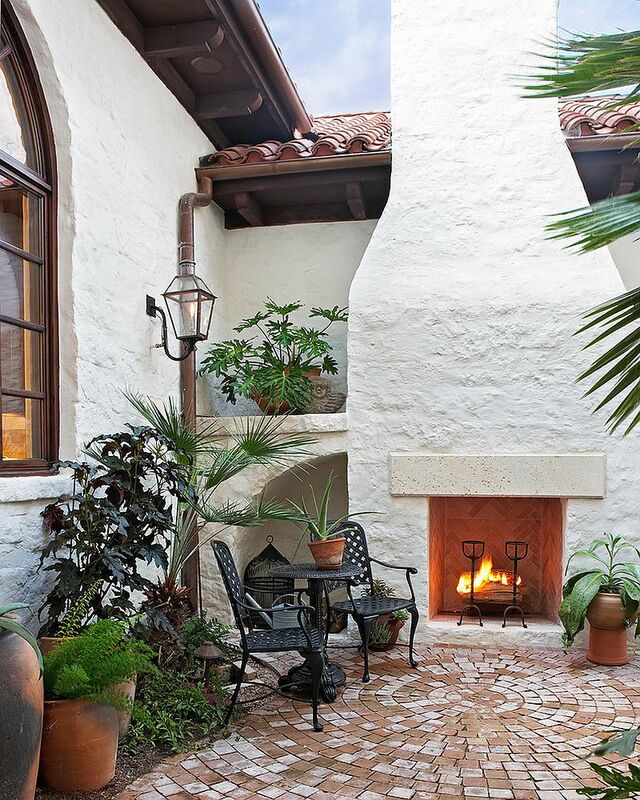 And a beautiful fireplace gives structure to this place, establishes a fabulous focal point, and makes those colder winter evenings a lot more pleasant. 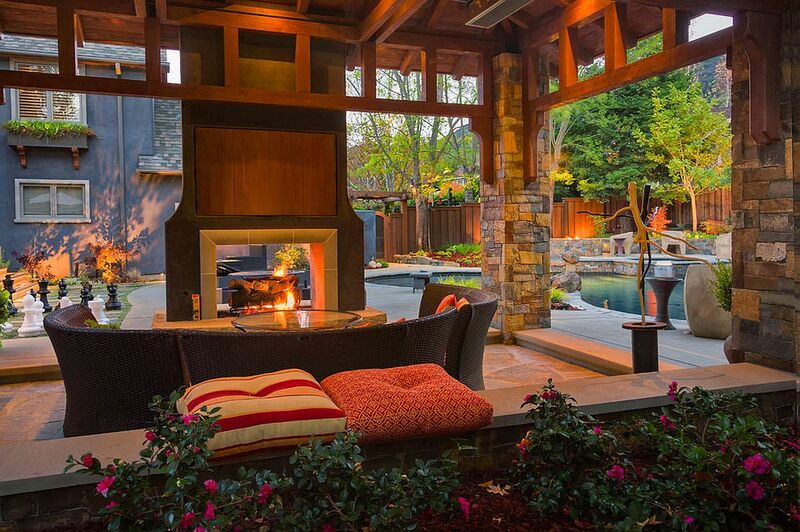 But how do you go about planning for and decorating around the outdoor fireplace? 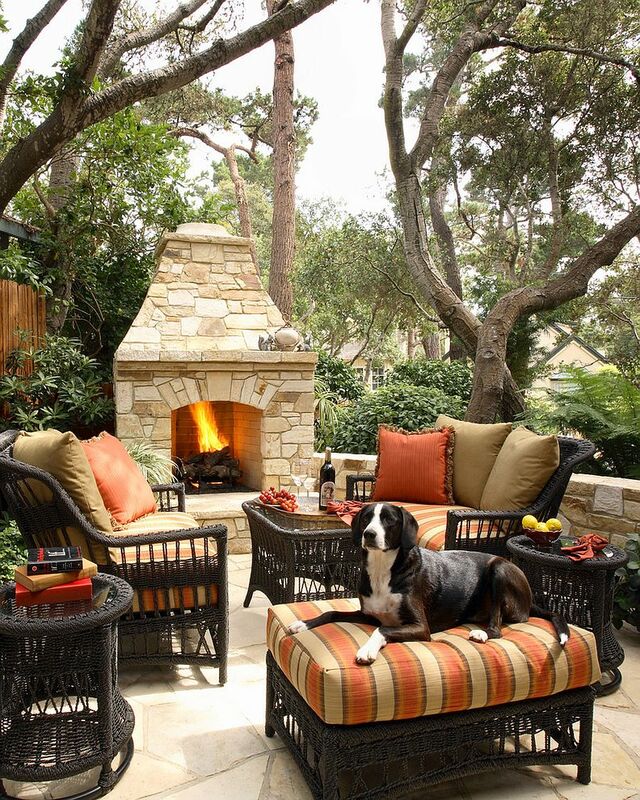 While all the beautiful photos that you come across make it seem like an enticing prospect, decorating an outdoor retreat around the fireplace does take a bit of planning. Here are some essential tips and pointers that will help you get started in the right direction. 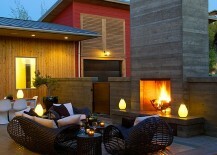 Of course, as always, there are also some dazzling inspirations for you to enjoy! 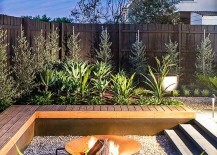 While this might seem all too obvious, many homeowners make the mistake of adding one little element at a time to their comfy outdoor hangout, and this in turn means they think in isolated ‘bubbles’. Even though you might not be prepared to invest (both time and cash) in an expansive patio living space all at once, do chalk up the plans well in advance. 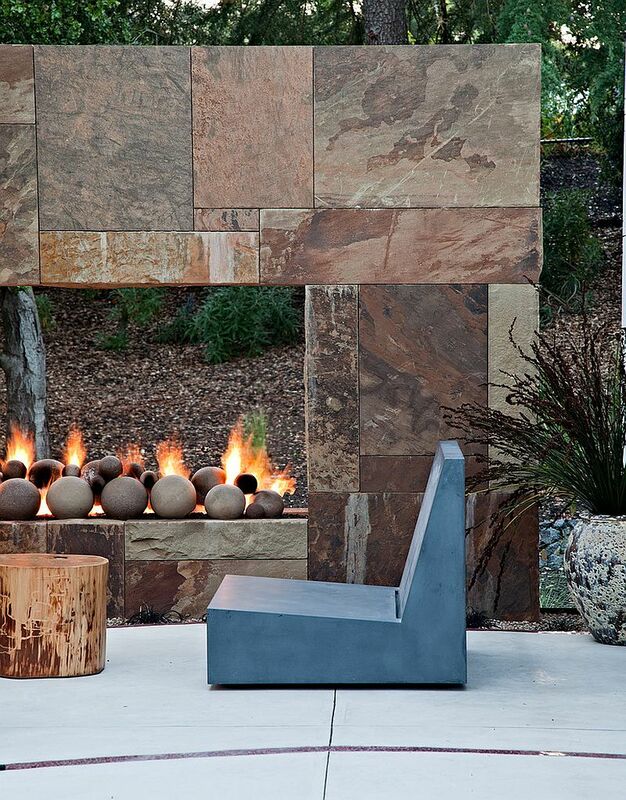 The fireplace often sits at the heart of this plan, and it is important to ensure that you have enough space both for this fiery focal point and the decor around it. 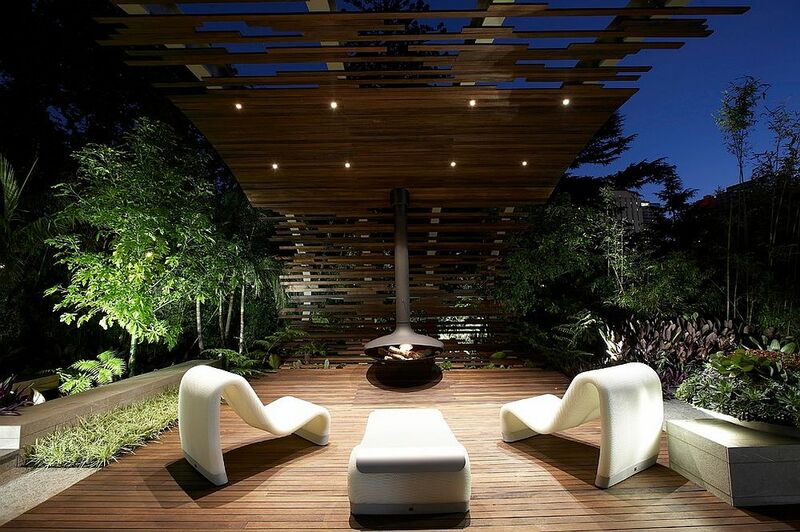 Also take into account the view on offer and any near-future home extensions before committing to a lovely outdoor fireplace. 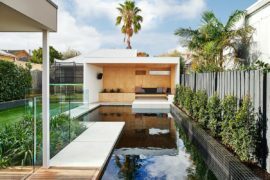 Once you have the plans chalked up, it is time to take a look at the cost involved and the utilization of available space. 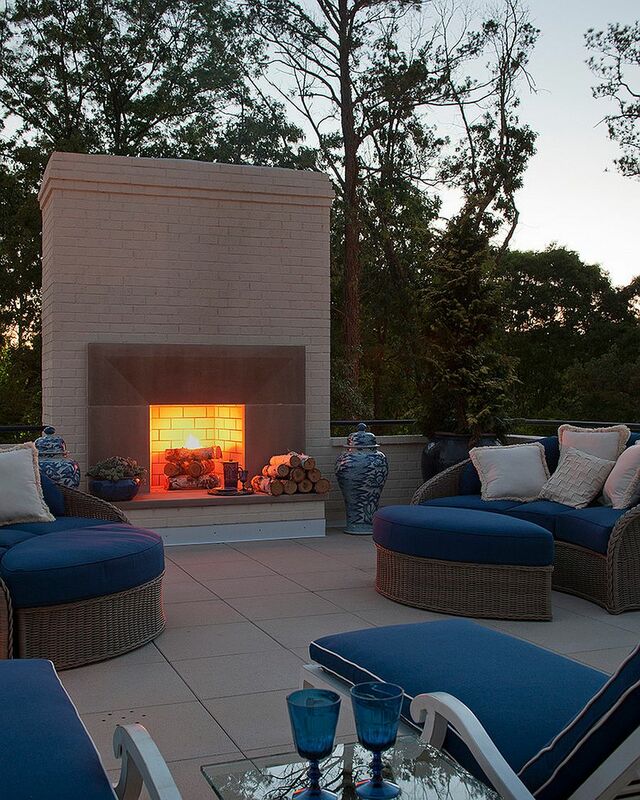 Remember that the entire garden, poolside deck or balcony will not be available for seating space, and if your backyard is split into several different sections, the nook that you choose for the fireplace must have enough room around it for friends and family to hang out. 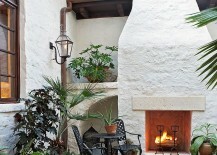 If you do not expect guests often and it is just a romantic escape for two, then a small, cozy niche will suffice. 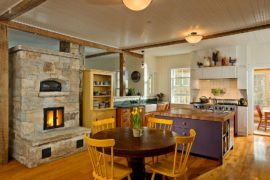 As a rule, gas fireplaces are far more expensive than their wood-burning counterparts, and custom fireplace design also tugs tightly on your purse strings compared to existing, freestanding models. 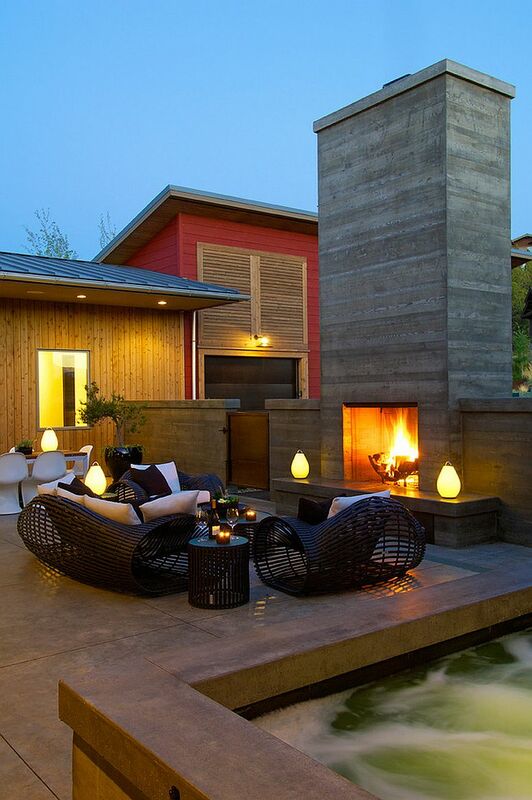 There are two different schools of thought on what the style of the outdoor fireplace and living area needs to be, and it all depends on which design philosophy fits your house best. 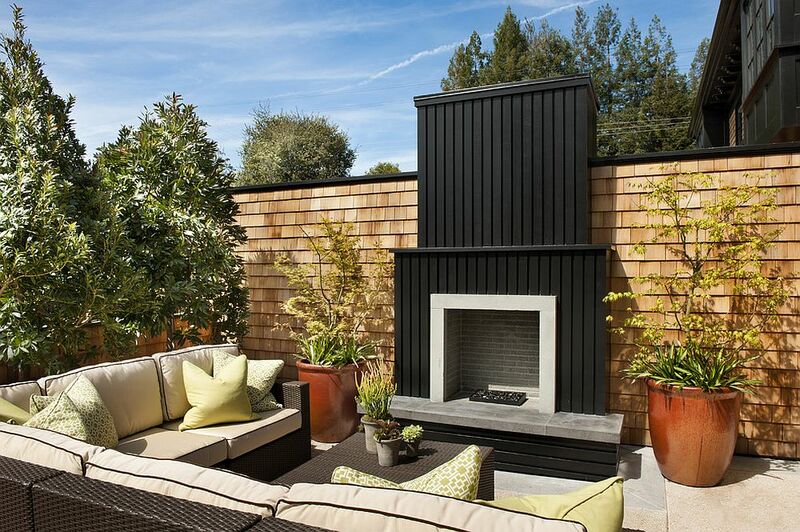 If the fireplace and the outdoor lounge are right next to the structure of the house, then it is best to pick a style that matches the architectural style of the home. By using glass doors, this lounge can act as an extension of the interior, as it blends with the kitchen, dining space or family room inside. 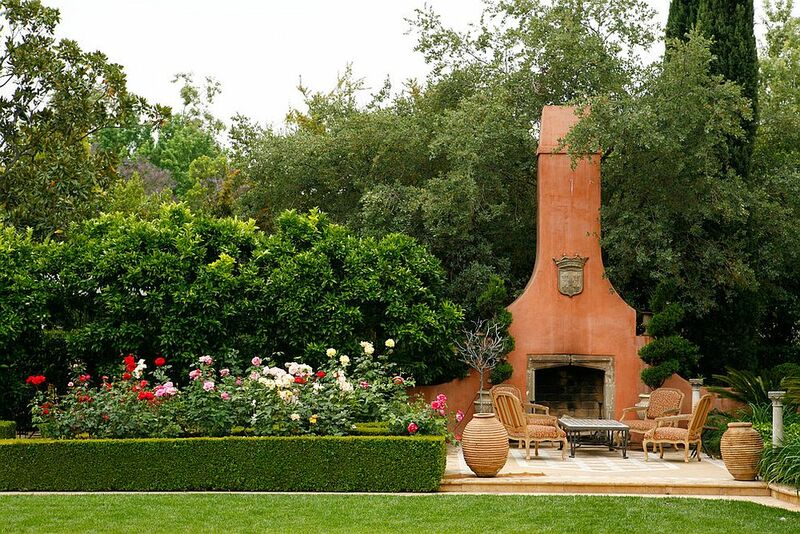 Another route is to take the opposite approach and choose a completely contrasting style, such as tropical, Mediterranean or rustic, to create an exotic, relaxing paradise in your own backyard. 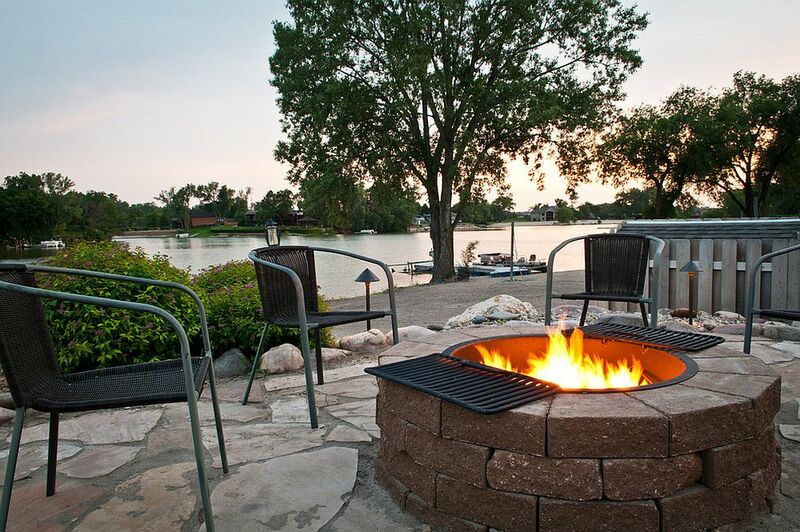 This little escape would be completely different from the more modern or contemporary ambiance of your home and would be perfect for an unforgettable staycation as well! 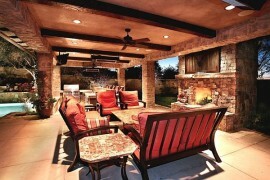 Combine the fabulous fireplace with some shade for an outdoor living space that you can enjoy all year long. 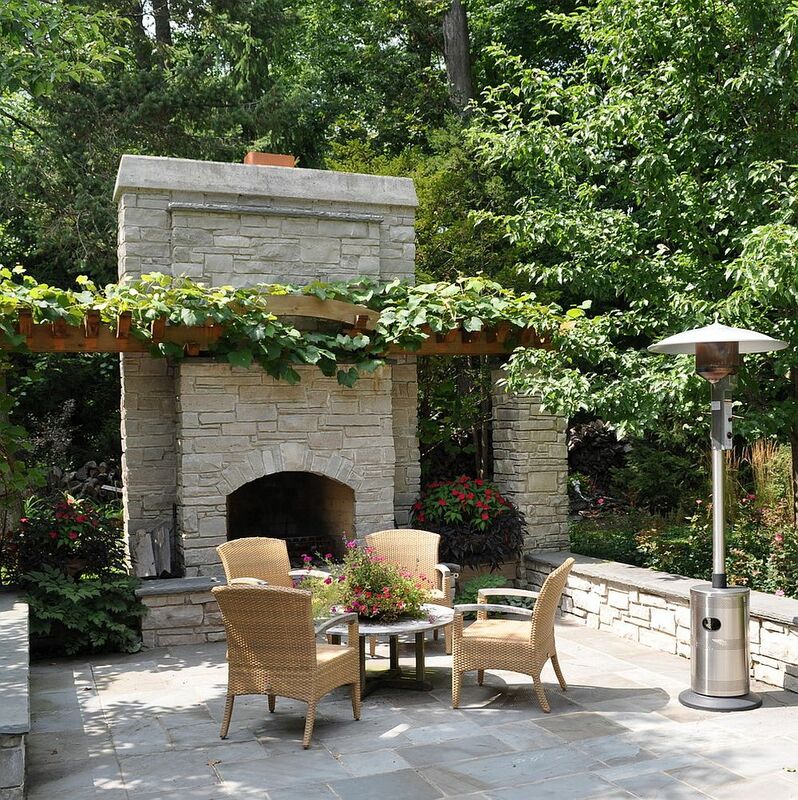 This also gives you greater flexibility in regard to the fireplace design, and you can even add in an alfresco dining zone and maybe a TV above the fireplace to complete a stunning patio transformation. 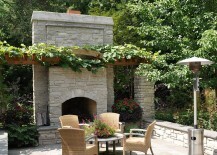 The covered patio already gives you an opportunity to get this done, but those looking for more modest options in the backyard can turn to a lovely pergola draped in climbing vines. Sounds amazing, does it not? 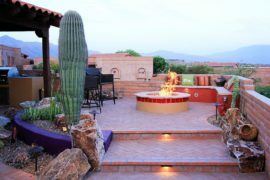 The most important part of the outdoor family or party zone is the décor that surrounds the beautiful fireplace at the heart of it all. 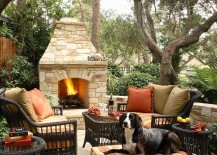 It goes without saying that the style of the fireplace and that of the outdoor furniture must be one at all times. 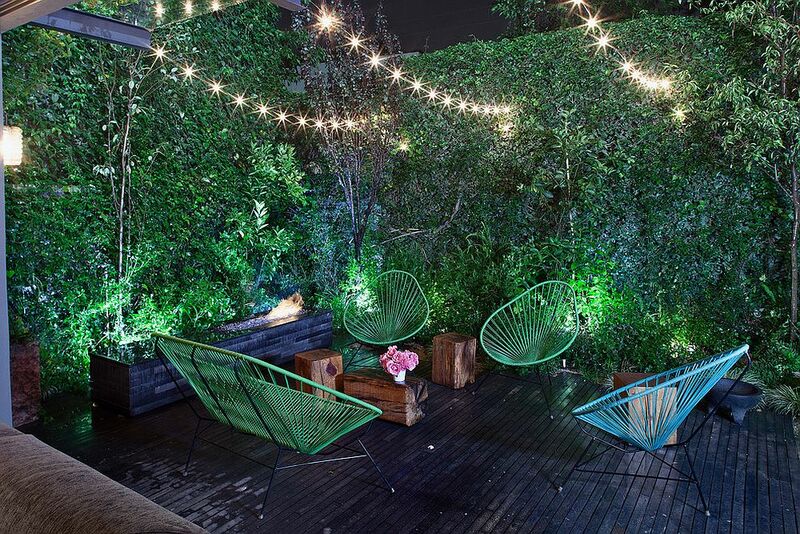 Modern outdoor furniture is as trendy and aesthetic as indoor décor options, and so you should have no issues in finding exactly what you need. 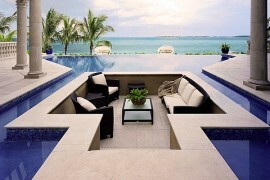 A luxurious sofa, a few club chairs and a lovely coffee table would get the job done on most occasions. Bring in a few garden stools, ottomans and maybe even a relaxing lounger if you need more options. 6. 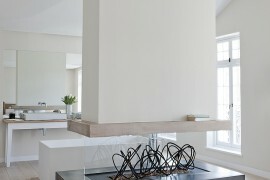 Think Beyond the Fireplace! 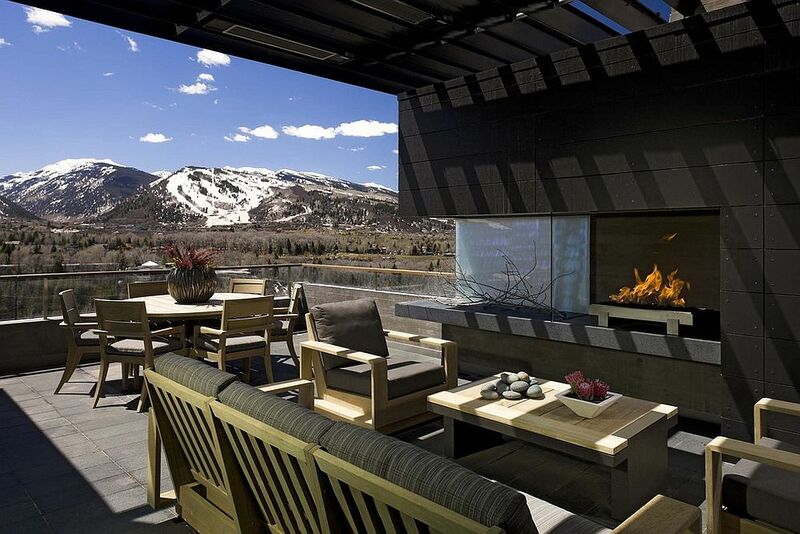 Yes, we are talking about an outdoor sitting space with a fireplace, but if that does not work for you, then there are other ways to add some sizzle to the open-air hangout. 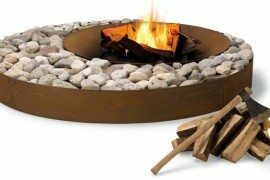 Fire pits are becoming incredibly popular once again, and they are far easier to work with and cheaper than most fireplaces. 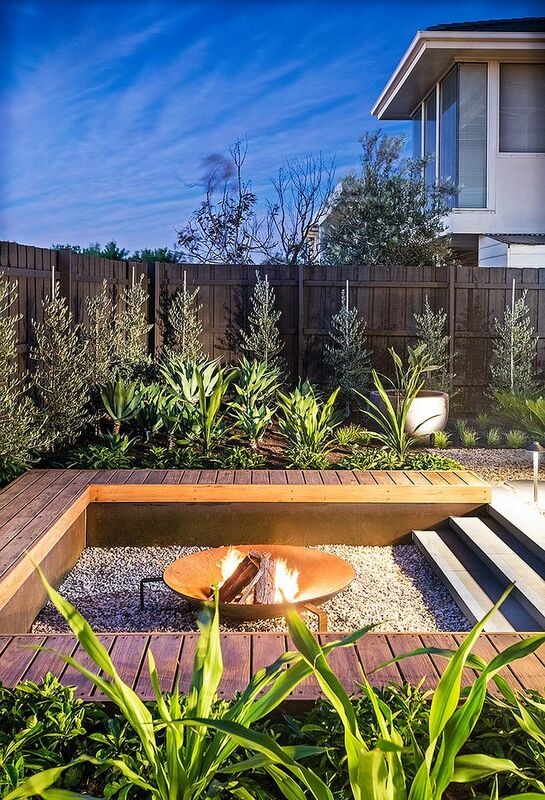 Some might even think about combining fire and water to fashion a stunning poolside feature, while Tiki torches usher in glamorous, tropical flair. Do not be limited by the idea of a traditional fireplace, and explore all other options before you make the final call.